Well, we’re back. 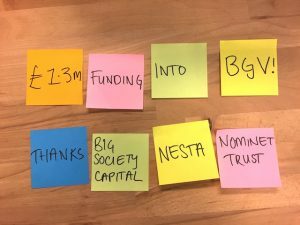 We’re very pleased to announce that NESTA has agreed to invest in BGV through its Social Venture Intermediaries Fund. This means we’ll be able to invest in new ventures in the next round of BGV. How will it work? Well, early in 2012 we’ll open up applications to find early stage tech-based startups that want to solve a social or environmental problem. If you’d like to be notified when that happens make sure you sign up for our email list or follow us on twitter at the bottom of the page. To have a chance of being selected, you’ll be at a very early stage – perhaps with just a prototype or a minimum viable product. You won’t need to show us a business plan or lots of spreadsheets and we won’t be asking for your powerpoint deck. You’ll just have to tell us what problem you’d like to solve, why it’s important, what you want to build to solve it and a little bit about yourselves. We’ll be taking teams of 2-4 people which must include somebody with a deep understanding of the problem and somebody with the technical skills to build things that nobody has ever built before. After we’ve done interviews and selected the best teams, we’ll invest up to £15,000 in your company. 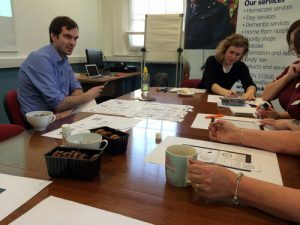 We’ll give you intensive support for 3 months, helping you to find the right people to make your idea work – both so it has real impact but also so that it makes money. We have some pretty amazing advisers lined up and we’ll be working with lots of organisations in the public and private sectors who are looking for new solutions to the problems they see day-to-day. 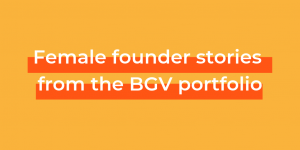 But perhaps the main benefit you’ll get from BGV is that you’ll be working alongside other highly talented founders who want to change the world. We’ve already seen the benefits of this from our first cohort who are still working together long after the programme. 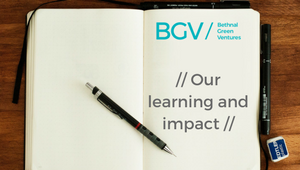 You’ll become part of the BGV network of founders and over time we think that will become a very valuable thing. You’d like feedback on your idea before applications open. You’d like to advise or mentor the startups during the programme. You’d like to join our group of investors. You’ll have to be a qualified investor but we can tell you whether you are or not. You’d like to support us in another way through sponsorship or anything else you feel you can offer. Just drop us a line at hello@bethnalgreenventures.com.